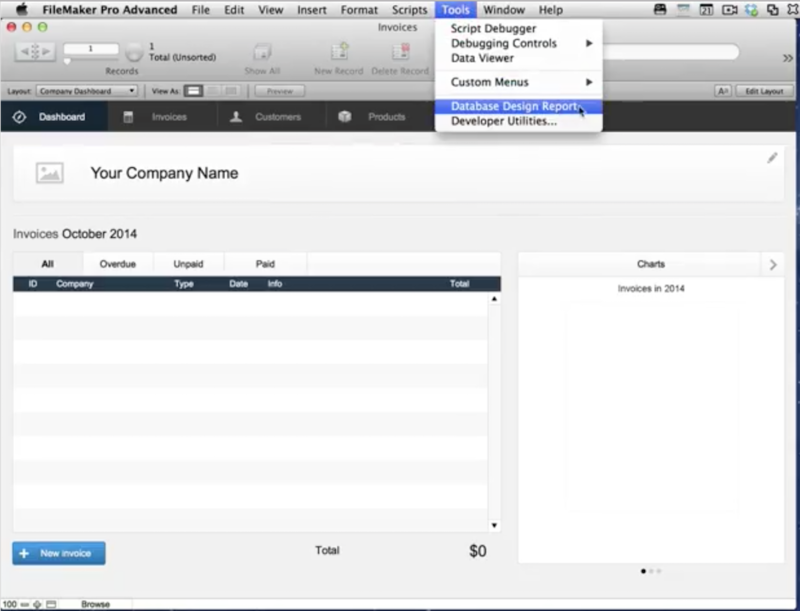 FileMaker 14 is here, and while the Database Design Report (DDR) hasn’t changed, here’s a “Getting Started’ walkthrough for using InspectorPro with the latest version of FileMaker Pro Advanced. 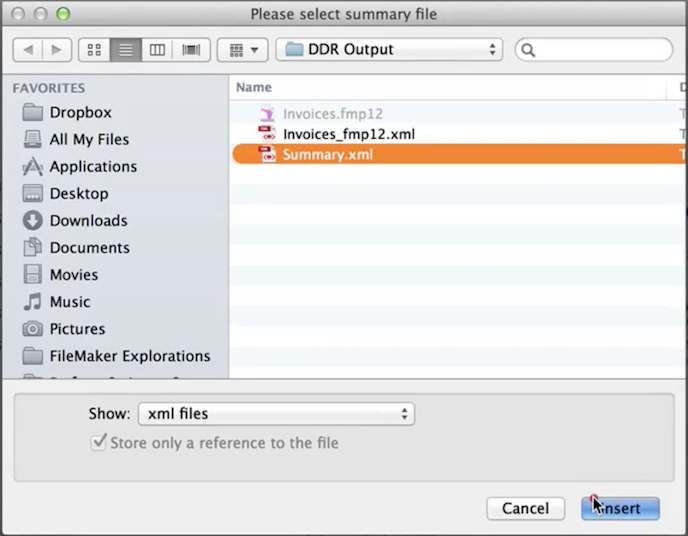 To generate a DDR, go into your FileMaker solution and select ‘Database Design Report’ under ‘Tools’. 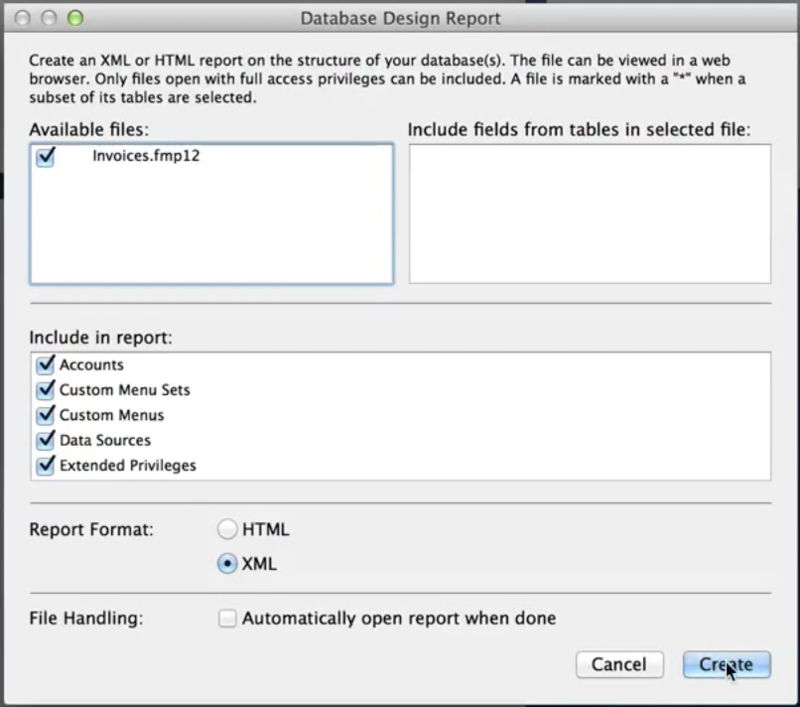 Select the ‘XML’ report format, and uncheck the ‘Automatically open report when done’ checkbox. Now open up InspectorPro 5 and on the top left hit the green ‘+’ arrow next to solutions and give it a name. On the top right hit the green arrow to import your DDR, give the analysis a name and hit import. Select ‘Summary.xml’ and hit insert, InspectorPro will begin parsing your DDR. 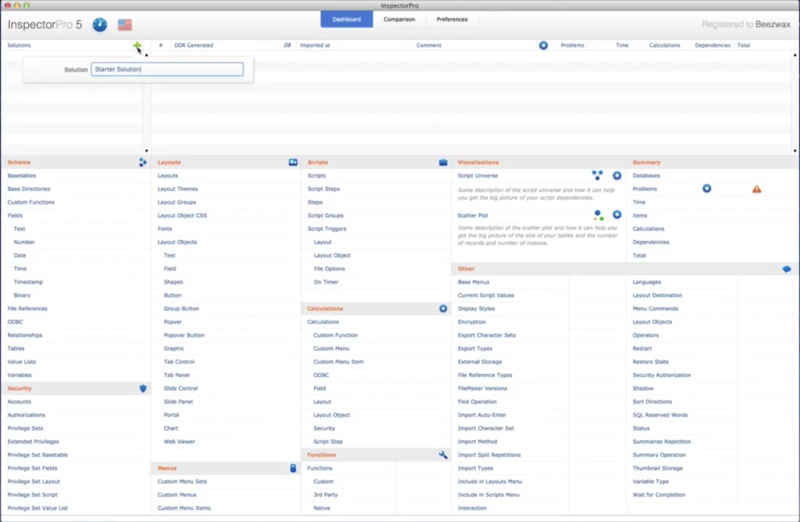 After this completes, you’re ready to start analyzing your system! Check out our InspectorPro 5 video tutorials and join us next Wednesday, May 20th at 11AM PST for a live 1 hour demo of InspectorPro 5.